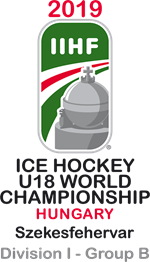 Great Britain U20s were beaten 5-2 by Estonia U20s in their third game at the Under-20 World Championship Division II Group A.
GB have now won one and lost two of their three matches, after an opening-day 6-4 defeat by Lithuania U20s was followed by a 13-1 thrashing of Korea U20s. 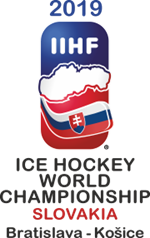 Estonia took the lead on the powerplay 51 seconds before the end of the first period through Artemi Aleksandrov (19:51). A second powerplay goal saw GB fall 2-0 behind with Kristofer Jogi on target at 24:19. Britain hit back within two minutes as Liam Kirk scored his second goal of the tournament (26:06), but Fabian Hast netted at 32:42 to ensure Estonia had a 3-1 second-period lead. Kirk scored his second goal of the night at 42:28 to make it a one-goal game, but Estonia scored twice in four minutes to wrap the game up. Rasmus Kiik’s goal at 48:49 was followed by Artemi Aleksandrov netting at 52:14 to complete Estonia’s third win of the tournament. GB return to action tomorrow (Thursday) when they face Romania U20s with a 4:30pm face-off (2:30pm UK time). The match is live on FreeSports with commentary from Aaron Murphy and Paul Adey.